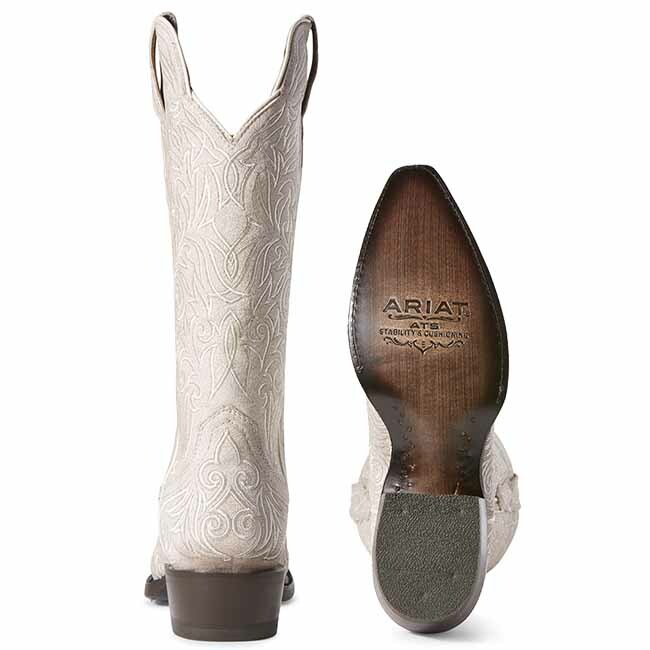 Check out these Ariat Sterling ladies New West boots. Having a western wedding? Need a pair of beautiful white cowgirl boots? Well look no further! 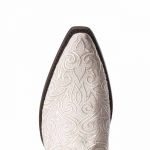 These crackled white ladies boots have beautiful intricate detailed embroidery stitching all over. With Ariat's ATS comfort footbed system you should be able to walk and stand in them comfortably all day or all night long. With a leather sole you can dance the night away! 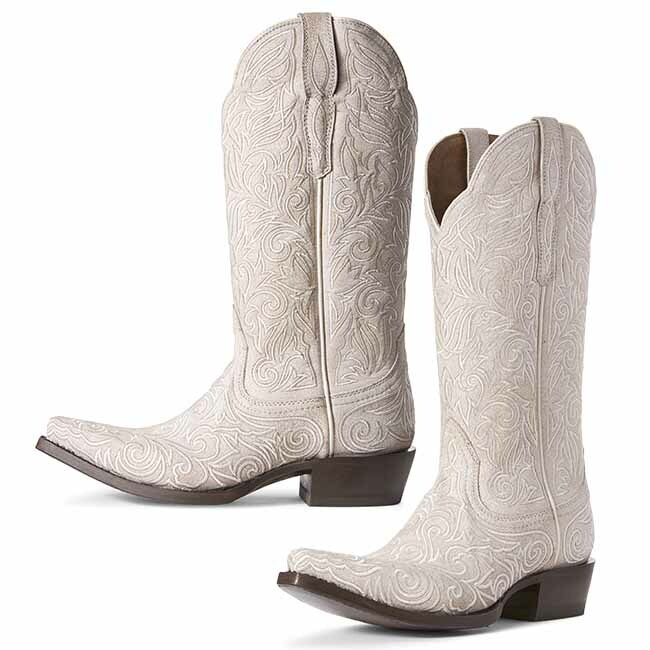 If I was getting married I would love to have these on my feet for my special day. 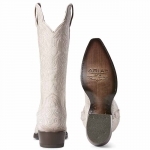 Or just a great dress up Ariat ladies cowgirl boot that new west meets classic west style.